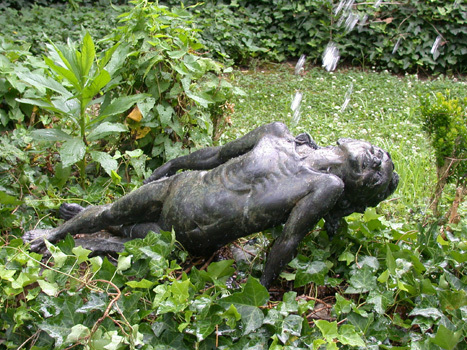 Dawn, 1974, Bronze, 18" x 32", Edition 8. Expressing the sheer joy of youth, the child looks up at the viewer. The sculpture is envisioned as a fountain with a spout of water arching upward and into the child's face.